You’re feeling overwhelmed right now, aren’t you. You feel like there’s so much to do, so little time, and you don’t even know where to start. You know you need to rid your home of harmful, toxic chemicals, but you’re stuck on where to go from here. Do you really have enough time to make all of your home and body care products? What about the non-toxic products at the store? Why do they have to be so expensive? Who can even afford that stuff? I felt the same exact way when I first started this journey. And you know what? I still have days like that where I just feel like throwing in the towel and calling it a day. You can’t do it all. Say it with me now, you cannot do it all. You were never meant to do it all. And once you realize this, accept this, and truly internalize it, you will be freed from the idea of perfection and that ‘all or nothing‘ attitude. But that’s not all. 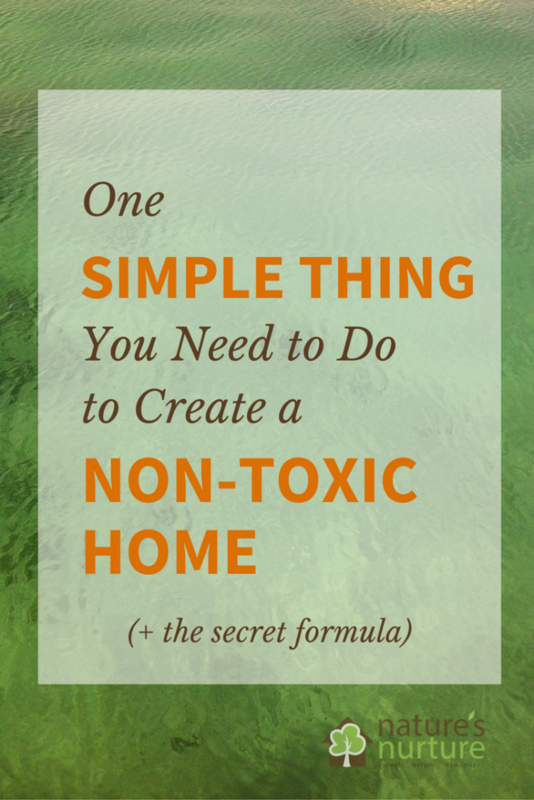 Because I’m also going to give you the exact formula I used to help me finally get the hang of this non-toxic lifestyle. And I know it’ll work for you because it worked for me and countless others just like you. And it’s still working for me every single day. Pick ONE area of your life that you want to focus on. Is it your cleaning products? Your bath products? Maybe your baby’s products? Now pick ONE product in that area that you want to find a safer alternative for. Is it your dish soap? Your shampoo? Your baby wipes? Decide if you’ll make it or buy it. Maybe you’re into DIY or on a tight budget and want to try your hand at homemade. Maybe you’re too strapped for time and would rather just buy it from the store. Maybe you choose to make it, but realize it’ll just be easier to buy it. Do what works best for you. Focus on that ONE product (and nothing else!) for as long as it takes for you to find a safer alternative that you’re truly happy with (or close enough). Then, and only then, do you move on to the next product/area that you want to change. That’s it. That’s your secret formula. You were never meant to do it all. So stop beating yourself up over it. And follow the secret formula – ONE product in ONE area, before moving on to the next. 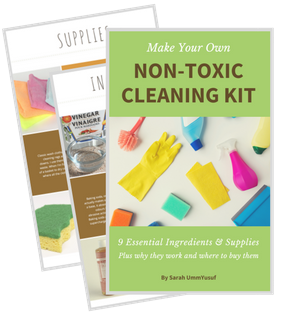 Make your own: Look through my non-toxic home and non-toxic body care posts for ideas on what products you might want to try making at home. Buy safer products: If you’d rather buy your products, look them up in the Environmental Working Group’s website. Look through their guide to healthy cleaning and their Skin Deep database for personal care products, and check out the ratings for the products you’re considering. They use a very simple A-F grading system based on rigorous safety standards. Ask for help: And of course, if you need further one-on-one help with anything, give me a shout through my contact page here. I would love to be able to help you on your journey to a non-toxic home. So tell me, what ONE product in ONE area are you going to start with? Leave me a comment and let me know! 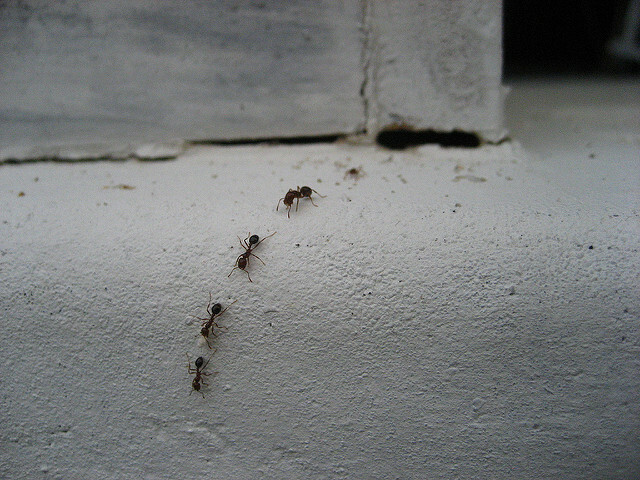 Just found your website and downloaded the cleaning guide – thanks for all the info! I read the section for the all purpose cleaner, and why you use the essential oils. I like the citrus-y oils, and was wondering if I can use lime and grapefruit instead of lemon (which I love, but don’t have right now). Your formula follows my mantra, which is do one thing do it well and then move on. One baby step at a time; that’s how I unclutter my home and that’s how I switch to all-natural good-for-me-and-the-environment products. I’m tackling laundry products. 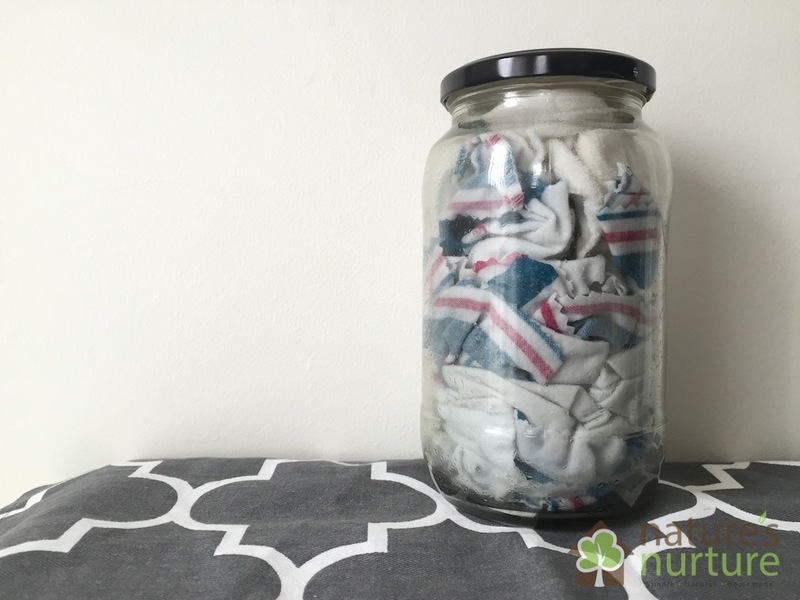 Making my own liquid laundry soap and using wool dryer balls. That’s it for now. Later it will be a general all-purpose cleaner but for now, laundry is it. Janet, you’re off to a great start! Way to keep it small and simple. Best of luck to you! Nice blog! I am working in cleaning supplies like laundry detergent, all purpose cleaner, dishwasher liquid etc. Not interested in making DIY. I am not sure what’s available out there claiming to be safe is safe or not? Lot of product says natural plant based cleaner? Are they ok? Do u have list? That’s awesome, Anjali. Best of luck! I have a detergent list here: http://naturesnurtureblog.com/detergent-guide/ and will be creating more guides like this for all the different cleaning products. Now that I have my fourth (and last!) son (I know, I know, I must be a saint lol) I am making less changes but I think then more and most important: one at the time! So I can already tell: your formula DOES work! So I have the cloth diapers and wipes that I started with, I have switched to DIY dish soap and now I am working in the laundry area. Thanks for the great tips and recipes!! That’s awesome, Caro, and thanks for sharing your story with me! Rock on, mama! I started with cloth toilet paper. Then I tried tackling everything. I’m glad to read this to get me back on one thing at a time. I look forward to many more posts. Thanks for this post! It truly is overwhelming. You are right, one at a time. So far I’ve changed my laundry (still not sure I’m happy with the soap though), air fresheners and switched to vinegar for a lot of my cleaning. There is still so much to change but like you said, one at a time. The next one I’m tackling is my dish soap. Thanks for all you do! I love reading Nature’s Nurture! Thanks Lisa, so happy you’re here! Thank you so much for your information! I have really enjoyed reading your blog. I started with your homemade all-purpose cleaner and using Hydrogen Peroxide for an antibacterial/disinfectant. I had all the ingredients already and 2 empty spray bottles. 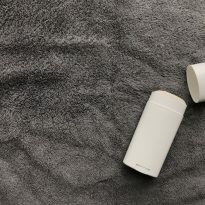 I am the caregiver for my father-in-law who is on oxygen and wanted to eliminate harsh chemicals and residue from my cleaning (which I need to do often!) Thanks again for your commitment to teaching the rest of us. I look forward to making more products! One area I would love to start with is room/ air fresheners or things I can spray to bring a fresh scent and clean the air with. I feel like the ones I use now are very harmful for me and my family. My pet got pneumonia because of the toxic chemicals and after that I Just had to do something about it. So yes, that is where I would like to start! That’s a big one, Myrian, and a great place to start! Take a look at my non-toxic air fresheners post for some ideas. 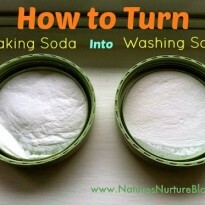 I want to make a natural dish washing detergent. Great Rebecca! There’s a simple recipe in my cleaning guide here. I would like to to start with an all purpose cleaner. It’s versatility to use on many different things is something we can all use. Great start, Lisa! I recently posted a brand new recipe for this super simple all-purpose cleaner – give it a try! I’ve already done the powder laundry detergent, all-purpose cleaner, and scouring powder. i think my next area is going to be oven cleaner or spot remover for the carpet. Hey Linda, so glad you asked this question. Aura Cacia just posted some articles with this info here: https://noteworthy.auracacia.com/daily-plus/roundup-14 Hope that helps! I used your recipe for making reed diffuser oil base today, I added May Chang, Geranium and Frankincense. I’m very pleased with the result. Thank you. You’re welcome, Estelle! That combination sounds just lovely. I’ve been detoxing for years; my biggest concern are food sold at the grocery markets to families every day loaded with poisons. Consumers honestly need to learn to read ingredients ; they’ll be stunned to find what they are putting in their months. Hi Sarah I just found your all purpose cleaner as I was looking for a laminate floor cleaner. Sounded good so I mixed some up and went to town cleaning my entire kitchen and bathroom, windows, mirrors, (love the easy no streak) counters, cabinets and I can’t get over the job it did on my wooden doors. Also we have a wooden floor in the bathroom and I have never in the more than 10 years it’s been there found anything that makes it look clean and not streaked, until I found your all purpose cleaner. Thank you I will be looking for more products! Oh that sounds wonderful! So glad it worked well for you! 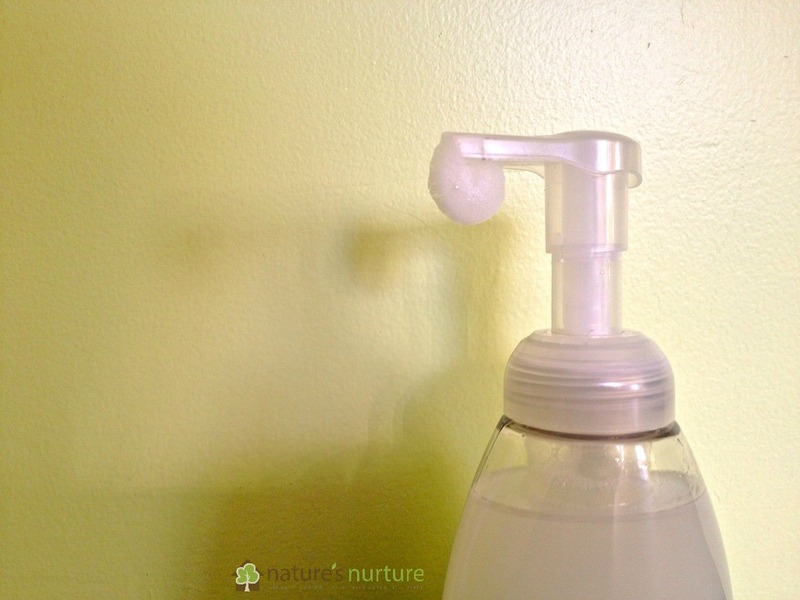 I have been making my own laundry soap for a few years and now I’ve seen posts that claim that instead of cleaning our clothes this soap is causing our clothes to retain dirt even though it can’t be seen. My soap is made up of Fels Naptha soap, washing soda and borax. Now I’m searching for a safe laundry detergent that I can make or buy either one. Yep, I wrote about my experience with this recently as well. I’ve stopped making and using homemade laundry soap recipes for this same reason, and only use store bought. I’m working on creating a list of non-toxic laundry detergents that you can buy instead so stay tuned! Hi Sarah.. thanks for Nature Nurture.. I started trying to transform my home into a non toxic environment since last year but not really successful yet. Never tried this DIY.. but really wanna try one. I think it will be much better on my part. Something I would also be inspired of doing in times or moments I am feeling down. And these are the kind of things I am interested to do but I just do not know how to do it and how to start . Maybe you could help me with this. I would love to start with my cleaning spray for my bath room.. shower room.. I still can not find the right one that would help me at least remove these soap stains.. etc.. or maybe I just do not know how to do the right way as well..
Hey Jewel, congrats on taking that first step! My go-to for cleaning bathroom surfaces is actually a combination of spraying my all-purpose cleaner + a squirt of soap + a generous sprinkling of baking soda. Then I just go to town scrubbing it all down with a heavy duty sponge (the ones with the rough green scrubby side). 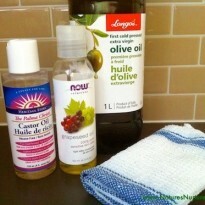 I use this combo for nearly every surface in my home that needs good scrub down. Then just rinse it all with water, and you’re good to go! Love reading this kind, common sense approach to the products we bring into our lives. Thanks, Sarah! Keeping our home safe is our first priority…thanks for such blog post. Great start, Tammy! Best of luck to you. My first product will be my bathroom and toilet floor? Thank you so much for prodding me in the right direction. When you use vinegar do you use double strength or what you buy at the supermarket. Do you have recipes at all. I use plain old white vinegar (5%) that you can get from any grocery store. Here’s my post on household cleaners that’s a good place to start. Good luck! Thank you for all the work and research you’ve done and for taking the time to share your experiences with us. 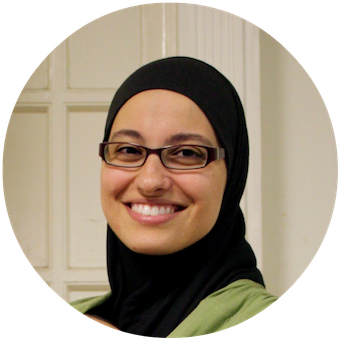 You’ve already saved me precious time, money, and frustration – and I am just getting started! 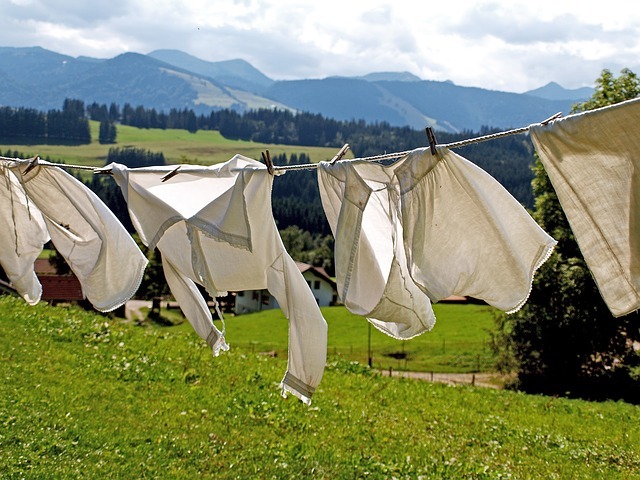 To be honest, I wasn’t looking to reduce toxic products in my house – I was just looking for a way to get my clothes TRULY clean! I’m very glad I happened upon your articles. I have decided to start with my dish washer detergent. Any suggestions? Great start, Leanne. If you’re looking for a DIY version to make, I have a recipe on this page here. And for a store bought natural brand, I highly recommend the dish soap and dishwasher detergent from Nature Clean (assuming you’re in Canada?). You can get it at Whole Foods, Canadian Superstore, or online at well.ca. If you can’t find that, my second choice would be Seventh Generation. Best of luck! Thanks for commenting, Georgie! wishing you all the best on your journey! I need help with laundry detergent and fabric softener. 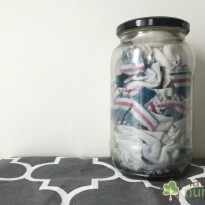 Hey Jerry, you can check out this post, which should help get you started – http://naturesnurtureblog.com/how-to-naturally-freshen-your-laundry/. Hello Sarah! Thank you for the advice on taking everything on step at a time. I really want to eliminate products that come contacts with our skin like my detergents since my kids have eczema the eczema keeps coming back and I keep thinking the problem is my detergent! You’re welcome, Huf! 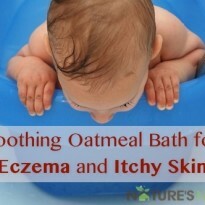 That was one of the first things we switched as well because of our sensitive skin issues. We installed vinyl flooring in our home. I use hydrogen peroxide (HP) 3% – available at your nearest dollar store, and mix a 1:1 (equal parts) HP and water with a few drops of essential oil for spray mopping the floor, as well as countertops and sinks. HP needs to be kept out of the sunlight and heat, so I keep this mixture in a handy aluminum spray bottle on my kitchen counter which I use daily. 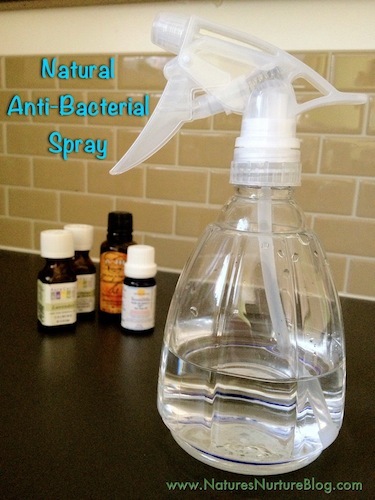 I have an additional spray bottle – without the essential oils which may cause streaks, for use on windows and mirrors. HP is also effective in healing cold sores (not around the eyes). I look forward to reading more of your wonderful suggestions! Interesting that you use it all over, because I just learned that peroxide is actually a very effective disinfectant! I agree it is overwhelming to think about all of these consumer products that I buy mindlessly. Most of the products bought are because of advertisements that are drummed in my head daily. Thank you for the information you share! You’re so right about the advertisements, Joan – that’s a huge part of it! Living in a non-toxic kind of home makes feel very safe. I will surely take note of these tips. Many thanks for posting and I’m lookig forward to reading more of youre interesting posts. I had to get man of house to finished using Costco Kirkland laundry detergent since I was getting reaction scratching my ribs red. I had switch to Nellie soap n wait for him to finish his soap but didn’t help me using his soap on sheets. We found Nellies huge pail that will last us yrs between two of us. Also lots dollars $$$ 😊 I had special bath soap from Heath store but it was getting expensive n use a regular soap without getting reaction too it.. I use personal shampoo from heathstore for yrs now since sisters once complimented that hair looked better than cheap salon store products … when I go to haircutters they compliment too. So shampoo must be working. I don’t dye my hair either.. I use heath food product too for toothpaste which helps with sensitive teeth. Than when I need extra gurgle I use olive oil n gurgle till I can’t stand it. It gives an extra clean in mouth & takes popcorn tight between teeth out spots. I use to have a cleaner that clean everything before I moved in with him. Mis place it since I deleted with water n not so tonic as regular cleaners around house. Maybe one day I’ll find it n return to trusty cleaner in this messy house..
Lots of great, small steps here, Sun! That’s a big one, Pat! I’m working on putting together a guide for different non-toxic products you can buy at the store/online. Shampoo is definitely at the top of my list! THANK YOU SO MUCH FOR YOUR WEB SITE AND ARTICLES, ETC.!!! I really appreciate all YOU do to educate us, Sarah!!! I am starting my non-toxic home process by replacing all cleaning products with gentler and kinder alternatives!!! The very first thing I changed was my floor care product since I have 6 house cats and 3 small dogs and a great-grandson that play all over my floors, touching and breathing them. I am especially grateful to you for sharing that I no longer need to feel guilty for NOT DOING EVERYTHING AND BEING PERFECT!!! You are SO WELCOME, Alicia! There is just too much pressure out there to be perfect and do it all. I’ve totally been there! I’m so happy this post helped you today. Thank you so much for commenting!